A diagnosis of cancer or a blood disorder can be devastating for a family, especially when your child is affected. When crisis happens, parents want to find the best care and treatments that can help their child get back to being a kid. At Valley Children’s, our team provides the expertise to diagnose and treat newborns to young adults with cancers such as leukemia, lymphoma, brain tumors and blood related disorders such as hemophilia or thalassemia. 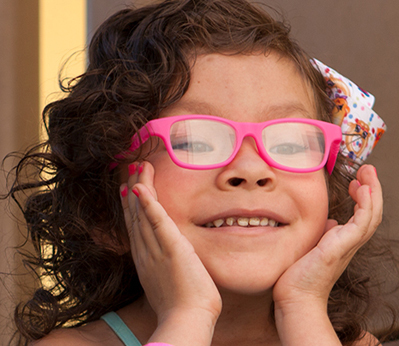 As one of the leading pediatric cancer facilities on the west coast, our center serves as the only provider of pediatric oncology services between Los Angeles and the Bay Area. Valley Children's Cancer and Blood Disorders Center provides the breadth of specialized services and depth of experience to treat a range of cancer and blood disorder conditions, from the most common to the rarest conditions. The center includes an outpatient unit with treatment rooms, infusion center and play area and a fully-equipped, 36-bed inpatient unit, Starship Craycoft. Our Cancer and Blood Disorders Center has consistently been in the top 5-8 percent worldwide in patient enrollments to the Children’s Oncology Group (COG), the world’s largest organization devoted exclusively to childhood and adolescent cancer research. As an active member of COG and a participant of many industry-sponsored clinical trials, we offer our patients access to more than 90 open protocols to treat the most common to some of the rarest pediatric cancer conditions. Samantha was diagnosed with neurofibromatosis type 1 (NF1) at 13 months. NF1 not only caused a tumor behind Sammy’s eye, but also a tumor in her brain. Samantha’s family found comfort and confidence from Valley Children’s team of pediatric subspecialists and support staff for her chronic and complex disease. 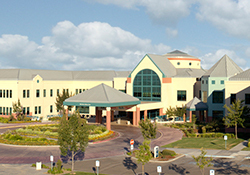 Our multidisciplinary team includes board-certified pediatric oncologists/hematologists, pathologists, radiation oncologists, radiologists, pediatric surgeons, nurse navigators, social workers, psychologists, palliative care, rehab therapists and child life specialists that deliver comprehensive family-centered care in one convenient location. Learn more about our comprehensive programs and conditions we treat.